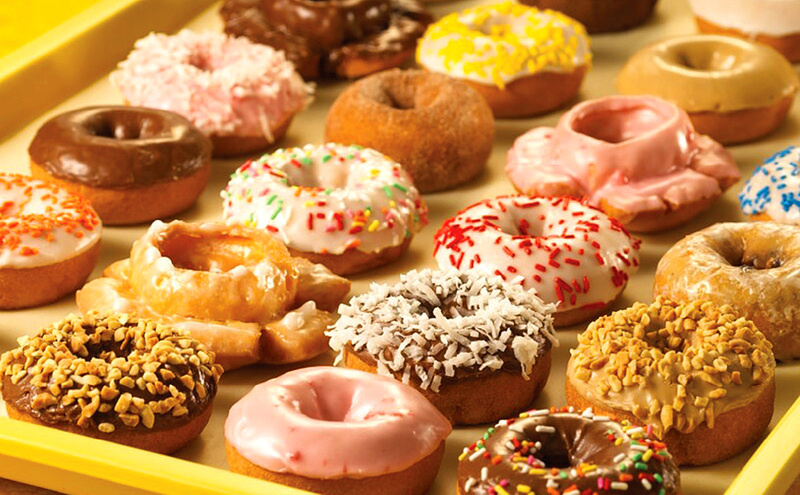 Distinctively light and perfectly sweet, DAYLIGHT DONUTS’ special recipe has proven itself for more than half a century. These mouthwatering donuts are freshly made every morning, seven days a week. There’s everything from delicious glazed and cake donuts topped with a variety of cool flavors, to fancier treats like apple fritters, cream filled long johns, bear claws, pine cones and the amazing cinnamon swirl. Paired with a steaming hot cup of Daylight Donuts’ Dark Roast or Turbo Coffee, it just doesn’t get any better! If sweets aren’t your thing, try the sausage roll—it’s a local favorite.